Item # 310335 Stash Points: 2,495 (?) This is the number of points you get in The Zumiez Stash for purchasing this item. Stash points are redeemable for exclusive rewards only available to Zumiez Stash members. To redeem your points check out the rewards catalog on thestash.zumiez.com. 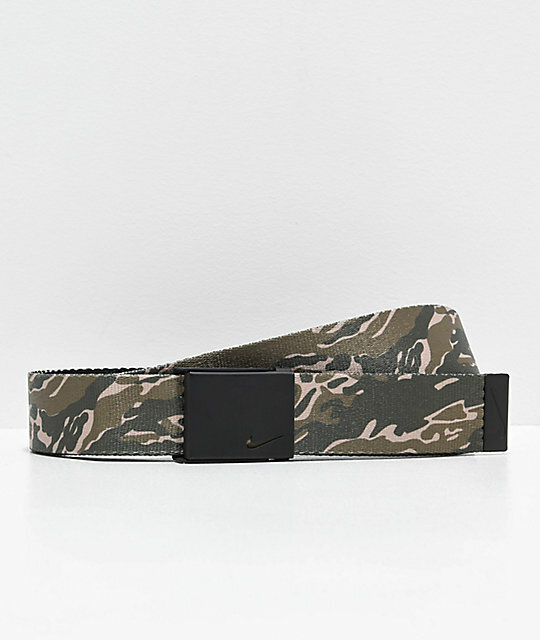 Holster your pants in ultimate style with the Nike Camo Reversible Web Belt. This reversible belt features an allover forest camo pattern on one side, and is all-black on the other. A built in bottle opener at the back of the buckle and a metal end cap for durability complete with "Swoosh" detailing is added for additional branding and style. 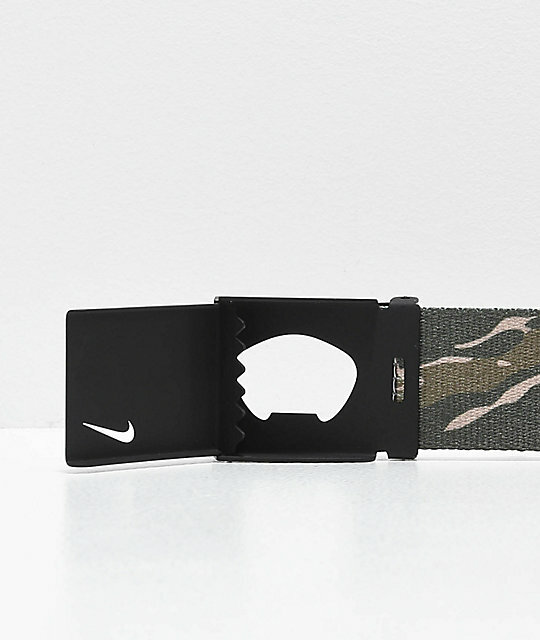 Camo Reversible Web Belt from Nike. 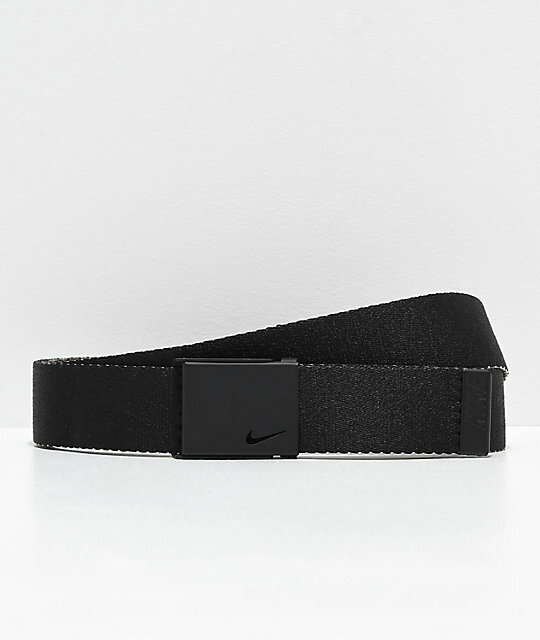 Metal, black buckle with Nike Swoosh logo. Nike logo on metal end piece. Bottle opener at back of buckle. Easily adjusts to fit smaller sizes with back locking piece, just cut and clasp. Adjustable up to size 42.